ISTANBUL, Turkey (Morning Star News) – Iran released U.S.-Iranian pastor Saeed Abedini today, more than three years after authorities arrested him on charges of “threatening national security” by planting churches, according to several sources. Abedini was released along with four other prisoners, including Washington Post journalist Jason Rezaian, in a prisoner swap, Iran’s official Islamic Republic News Agency (IRNA) reported this morning. U.S. officials reportedly confirmed that the release was part of a prisoner swap involving seven Iranians held on charges of violating sanctions and came after more than a year of closely guarded talks. The pastor’s wife, Naghmeh Abedini, told Morning Star News that she heard about the release from friends in Iran who saw reports about it on state TV. U.S. officials confirmed the release to her this morning. Her two children have been jumping up and down with excitement since then, she said by phone from her home in Boise, Idaho, where she said the atmosphere was joyfully chaotic. The pastor’s wife said on Saturday that Abedini would undergo medical tests in Switzerland, be transferred to Germany and then flown to the United States, and on Sunday she Tweeted that he had left the country on Sunday. She and her two children, ages 9 and 7, hope to see him soon. Naghmeh Abedini, who in her advocacy for her husband’s release has given heart-rending accounts of the effects of the imprisonment on her and the couple’s children, told Morning Star News she had learned to trust God with her husband’s fate while in the middle of a 21-day fast that she began on Jan. 5. The release of Abedini and the three others came the same day that the United Nation’s nuclear regulating body, the International Atomic Energy Agency (IAEA), was expected to determine whether Iran complies with a July agreement to reduce its nuclear capacity. Some economic sanctions could be lifted if the IAEA finds Iran complies with requirements. Also freed, according to IRNA, was U.S. Marine veteran Amir Hekmati and Nosratollah Khosrawi, whose case’s details were not immediately clear. Jay Sekulow, lead counsel for the American Center for Law and Justice, has advocated for Abedini’s release. Abedini was tortured at various times throughout his imprisonment, and last year prison officials further pressured him to recant his faith by threatening to hold him in prison indefinitely. In 2013, Abedini wrote of enduring torture, death threats and pressure to renounce his faith. Seven months earlier, in July 2012, the Iranian Revolutionary Guard had briefly arrested Abedini during his visit to set up an orphanage he was building. After interrogation, authorities placed him under house arrest and told him to wait for a court summons to face criminal charges for his Christian faith. Two months later, on Sept. 26, 2012, he was arrested at his parents’ home and taken to prison, where he remained until today. Abedini has steadfastly claimed his innocence on all the charges filed against him. 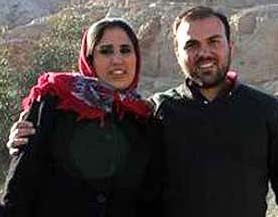 Naghmeh Abedini asked for prayer for her husband’s transition back to freedom.